Below you can view all the homes for sale in the Historic College Park subdivision located in College Park Georgia. Listings in Historic College Park are updated daily from data we receive from the Atlanta multiple listing service. To learn more about any of these homes or to receive custom notifications when a new property is listed for sale in Historic College Park, give us a call at 404-998-4017. See This Home Today & Write A Contract Tonight! MLS#6541207. Keller Wms Re Atl Midtown. Hardwoods, Tile And Carpet With Updated Kitchen And Baths. MLS#6539521. Keller Williams Realty Atl Part. 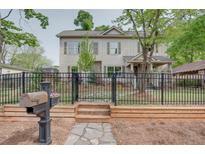 Private Backyard With Raised Garden, Incredible Storage Space And Large Deck For Entertaining. MLS#6538527. Red Door Realty Group Corp.. Convenient To I-85/I-75 And Mere Minutes From Hartsfield-Jackson Airport. MLS#6538964. Keller Williams Realty Intown Atl. Large Rocking Chair Front Porch And Back Deck. MLS#6531541. Red Door Realty Group Corp..
Don'T Miss This One, Come See. MLS#6530563. Homesmart Realty Partners. Perfect Home For Traveler, Or Airport Employee MLS#6529556. Area West Realty, Llc..
4 Bedrooms, 2 And Half Baths, Gorgeous Kitchen With Large Island That Includes Space For Wine Cooler, Dream Master Bathroom And Amazing Views From Every Window. MLS#6529637. Visionaire Realty, Llc..
Minutes From Downtown Atlanta, Delta, Porsche, Tyler Perry Studios, Atl Airport, And More! MLS#6528753. Intown Focus Realty, Llc..
A Small Community Of 14 Homes And 13 Townhomes. 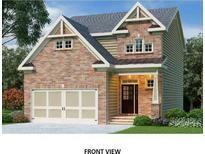 MLS#6527298. Keller Williams Realty Metro Atl. Short Bike Ride To The Beltline, But Walkable To Downtown Historic College Park MLS#8553029. Area West Realty, Llc. This Home Is The Academy Floorplan. MLS#6526797. Compass. This Home Is The Jackson Floorplan. MLS#6526788. Compass. Fully Renovated And Move In Ready Home Featuring Gorgeous Granite Counter Tops With Stainless Steel Appliances, Laundry Room With Washer And Dryer, And Master With Spacious Walk In Closet,Dual Vanity Plus Separate Shower And Garden Tub. MLS#6525862. Keller Williams Atlanta Classic. The Deck In The Back Is Ideal For Coffee In The Morning. MLS#6523806. Jar House Llc. Minutes From Woodward Academy, Restaurants, Shopping, Golf, And Airport. MLS#6523857. Harry Norman Realtors. Finished Basement Includes An Incredible Man Cave With Media Room And Huge Movie Screen And Projector! MLS#6522169. Red Door Realty Group Corp..
2nd House Has Kitchen, Bed, Full Bath, Living, Laundry And Porch! Terrace W/ Wine Cellar, Fireplace! MLS#6516539. Keller Williams Realty Atl Part. Pet Friendly, Fenced Backyard W Dog Door & Dog Run Overlooks Brady Trail Extension, Which Will Attach To Beltline When Complete. MLS#6521261. Weichert, Realtors - The Collective. Great Access For Employers (Delta, Chick-Fil-A, Etc…). MLS#6520505. Deloach Realty, Llc. Main Floor Features Eat In Gourmet Kitchen, Stainless, Granite Island, Farmer'S Sink, Spa Like Master Suite, Hardwoods, New Paint & Fixtures Throughout! Enjoy MLS#6520642. Terica Kindred Realty. Blocks Away From Rugby & Lyle Ave., Barrett Park And Main St. Also Mins Away From Atlanta Hartsfield Jackson International Airport, Delta Hq, Woodward Academy, Golf, Camp Creek Marketplace, Marta, & 20 Mins From Atlanta. MLS#6519846. Bhgre Metro Brokers. Walk One Block To Woodward Academy! MLS#6519602. Red Door Realty Group Corp..
Large Concrete Pad In Back For Parking. Great Location! MLS#6517481. Berkshire Hathaway Homeservices Georgia Properties. Minutes From Woodward Academy, Restaurants, Shopping, Golf, And Airport. Convenient To Marta. MLS#6516633. Harry Norman Realtors.